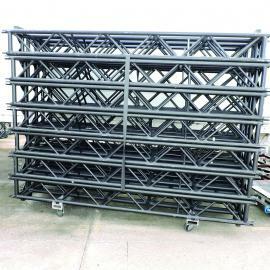 Designed on a 12” x 12” box truss platform, the Stackmaster™ takes an industry workhorse to a new level. 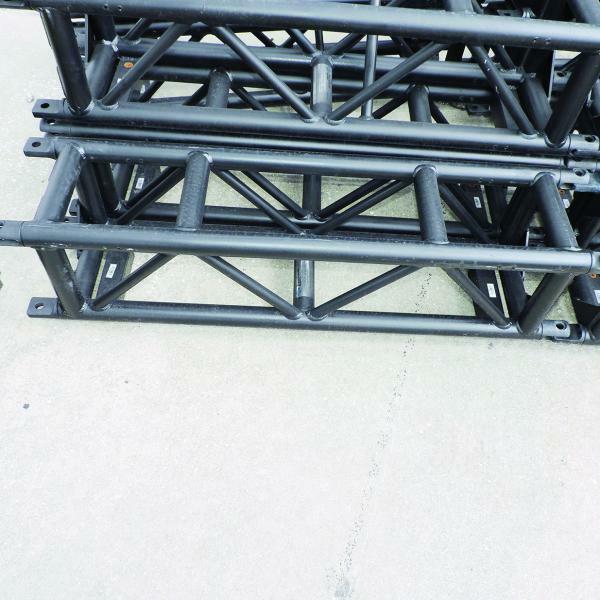 Stacking locators on each end of the truss create a secure framework that prevents truss from easily sliding off of a stack. 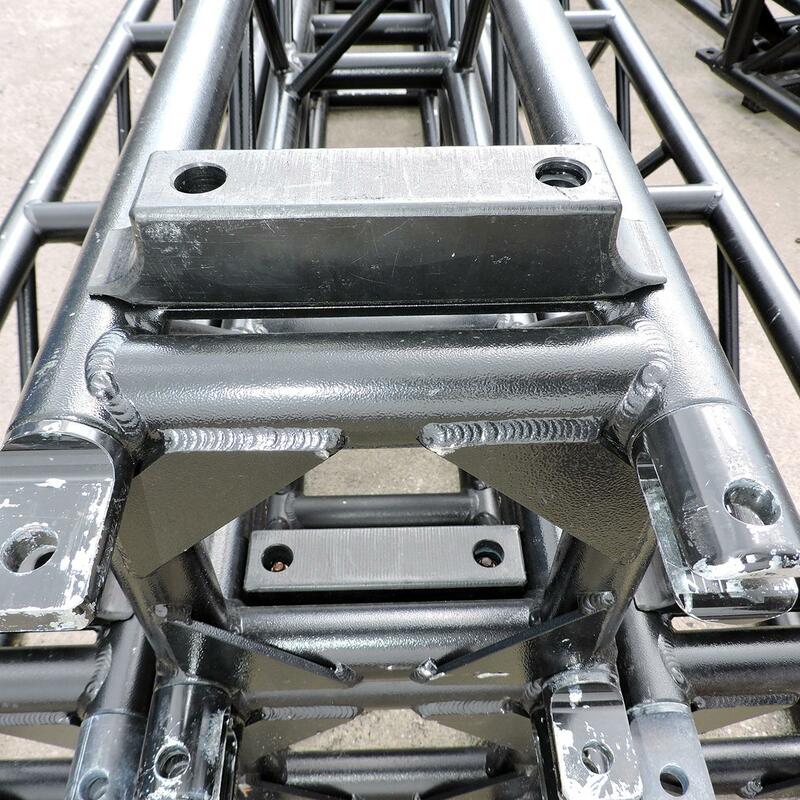 Steel spigot connectors and exceptionally strong aluminum diagonal webbing make the Stackmaster design highly rigid and durable. 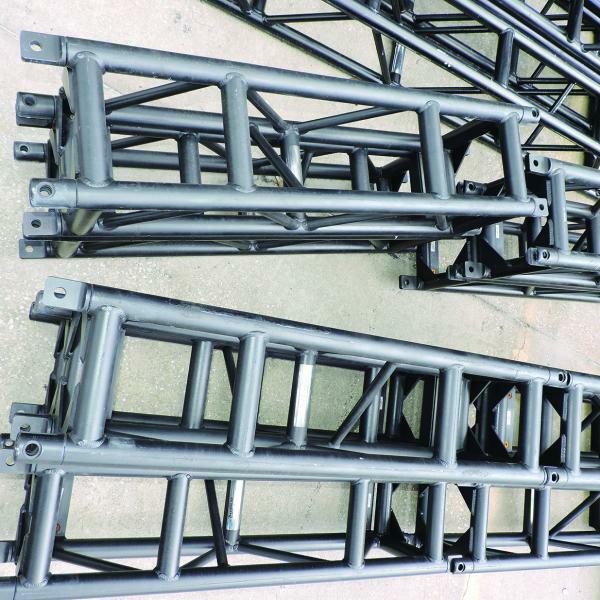 The AV truss webbing style allows for more flexible fixture placement arrangement. 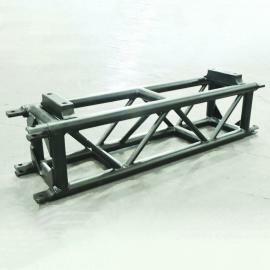 Tyler Truss box stackmaster 12" x 12" x 4 foot long black.